The landmark backdrop to the Manhattan skyline, the Colgate clock which was originally mounted on an eight-story manufacturing building was built in 1924. The clock standing seventy feet high and fifty-four feet wide is the world's largest working vertical face clock, as noted in the Guinness Book of World Records. 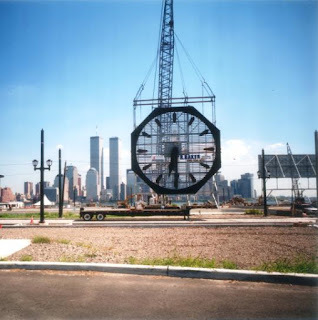 Colgate-Palmolive Company entrusted R. Baker & Son All Industrial Services to protect, rig and relocate both the clock and the adjacent 90 by 60 foot billboard.